Missing a banking or other app on Windows? Why not use the web? Home » Applications » Missing a banking or other app on Windows? Why not use the web? Let’s face it, many developers are out of touch with the idea of being truly cross platform. From Tango, SoundCloud, many games, and a number of banking apps, many companies fail to see the value in putting their users first. In such cases, we must rely on the great Windows developer community for many of the apps and games we crave. In many cases, they can even create apps that are arguably better than their “official” counterparts on iOS and Android. But what about the apps that developers can’t launch on the platform, such as banking apps? Luckily, Windows has always had a great feature that enables users to (sort of) workaround the app gap: pinning websites. Sure, it may not be as “pretty” as an official app, but it’s definitely useful. 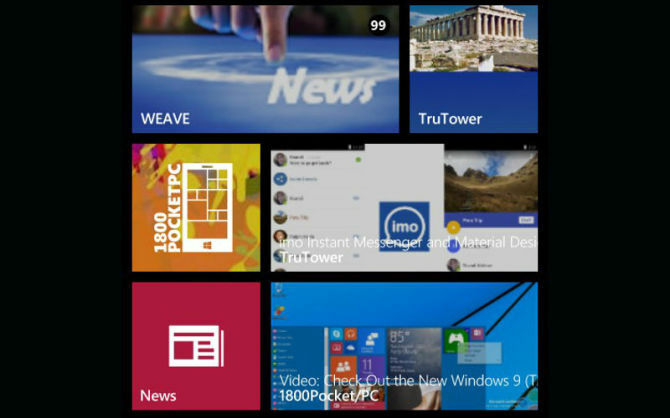 In many cases, you can even get the Live Tile feature (case in point: 1800Pocket/PC and many other sites). This is an especially good workaround for banking websites or news websites when you want to save a little storage. Banking apps are largely mirrored versions of the mobile websites anyway, so when you pin the site, you essentially get most, if not all, of the functionality the app can offer, minus push notifications (I’m not aware of any banking website that gives you your account balance via Live Tile, although that would be neat). You can also have the browser remember you so you don’t have to log in every time, if you don’t like typing in your password. As we continue to wait in anticipation for the app gap to close and for developers to embrace the new Universal platform, pinning websites will continue to be one of the best ways to keep all of your most used services at your fingertips, whether it’s on phone, tablet, or PC. What apps are you hoping to see launch on Windows 10 / Windows 10 Mobile soon? Let the community know in the comments! I find it laughable that Tango is even mentioned here. The company has a Windows Phone 7 app and can’t even wake up enough to update it, like Kik, Instagram, and a bunch of others who release an app but never update. I just want to get new updates, even if we don’t get new apps for awhile. why cant devs just man up and make an app? stop being lazy. My issue with banking via web vs. apps is that I do freelance work and use my phone to deposit. I use USAA and Navy Federal and since Navy Federal can’t be bothered with Windows Phone, I shifted the bulk of my banking to USAA, which has a nice app. Chase bank app would be nice. I miss depositing checks with pictures.